The Tzu Chi Foundation of San Diego invited the SDCCS to perform at their event, "Profound Gratitude for Parents," at the California Center for the Arts in Escondido. Photographs and videos courtesy of the Tzu Chi Foundation of San Diego. On Mar. 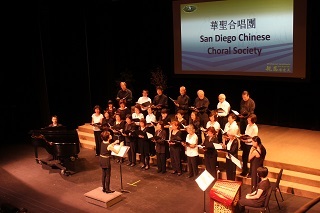 29, 2014 the San Diego Chinese Choral Society performed a concert, titled "Friends for Life," at the Good Samaritan Episcopal Church. 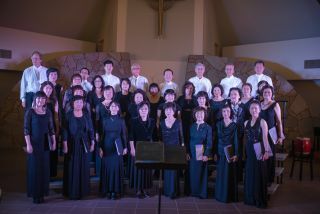 Guest performers included Xiaonan Zhang (erhu), Weiping Wang (dulcimer), Hao Wen (guzheng), John Flood (percussion), Henry Wong (percussion), Lianxiang Liu (percussion) and Janine Yang (flute). Photographs by Mr. Yihui Peng.